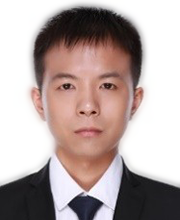 Xiangpeng Chen is a PhD student in finance at Tsinghua University PBC school of Finance and a young researcher at the CF40 Young Economist Forum. His main research interests include macro finance and empirical asset pricing. He is currently interested in systemic risk, macroeconomic uncertainty and Chinese local government debt.